Happy Tuesday, fellow bookworms! Who else is excited that Finale by Stephanie Garber releases in under two months?! Stacy and I cannot wait. Anyone who has met Stacy and I know how big of fans we are of the World of Caraval. We absolutely adore and love this series so much. Which is why we were also super stoked to find out Stephanie is going on tour for Finale! Woo!! See Stephanie’s tour dates below and if you haven’t read Caraval yet, then Stacy and I advise that you do! This is a world that will captivate you from the very beginning! Additional information about the tour and to get a sneak peak at Finale, check out Bustle’s article! If you will be attending the St. Charles, MO stop, find me at the signing and say Hi! I’d love to meet you! Is Stephanie touring anywhere near you? He was raised in revolution. She was raised in a palace. Can their love stop a war? Code Name Verity meets The Winner’s Cursein Joanna Hathaway’s Dark of the West, a breathtaking YA fantasy debut. Joanna was born in Montréal and is an avid storyteller who was inspired to write after reading her great-grandfather’s memoirs of the First World War. A lifelong history buff, she now has shelves filled with biographies and historical accounts, and perhaps one too many books about pilots. She can often be found reading, traveling, or riding horses. Her debut novel, DARK OF THE WEST (Tor Teen, February 5th, 2019), is the first in a WWII-infused fantasy series of forbidden love and deadly revenge. Thank you, Joanna, for stopping by on the blog! It was wonderful chatting with you! Your debut novel, DARK OF THE WEST, comes out next year! Congrats! What inspired you to write this story? Thank you so much! Honestly, the biggest inspiration for me was history. As a teen, all I read were memoirs and biographies and historical accounts from as many different perspectives as I could get my hands on. I wanted to read the real stories of real people around the world—people who had faced these incredible (and often horrific) events with such courage. It always made me wonder what I would do in the same situation. What choices would I make? But I also wanted to write a book that wasn’t bound to the rules of our own history, so I began building this fantasy world that felt like our own yet was distinctly unique. I wanted to make an exploration of the timeless themes of our history, but see it through the eyes of two youthful and idealistic narrators who still believe in the best. Thus, Dark of the West was born! What was it like to write two point of views? Was one easier to write than the other? I originally started with only one POV (Aurelia), but then I did a test scene from the perspective of Athan and discovered he had a whole family demanding to be shared! And once I started weaving his story with Aurelia’s, I realized how well they complemented one another, illuminating the larger story. It worked out perfectly. I don’t think either POV is “easier” than the other, but often when I get tired of writing one, I can just switch to the other and feel immediately rejuvenated — handy for those deadlines! Are you more of a plotter or did you let the story come to you naturally, without a ton of plotting? This particular story has been with me since I was in university, so it’s definitely come about more gradually and naturally, left to simmer for years. While I didn’t specifically sit down and create an outline for it, I have had the series in my mind for a long time, so I do plot out each book and each character arc to satisfy the overarching themes and events which I know are coming. If you had the chance to spend one day with Aurelia and Athan, what would you all do? I think I’d want to visit Aurelia’s horses and Athan’s airplanes. And if I could ride one and fly another, that would be even better. I think they’d be on board with that! Trust your heart and know that no one else can tell the story you wish to tell. It’s a reflection of you, which is quite sacred, and while you should always seek out critique and be unafraid to put in the sweat and work, never belittle the heart of what you’re trying to say. Always fight to get it out into the world. There’s room on the shelves for your unique story. See what other amazing blogs joined this wonderful blog tour! 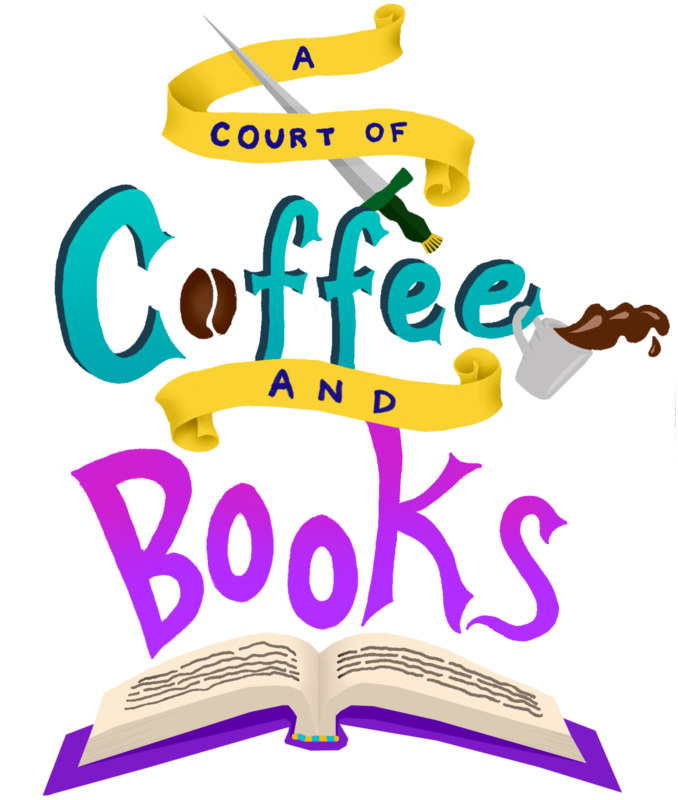 Thank you, Fantastic Flying Book Club, so much for having A Court of Coffee and Books on the blog tour! A fresh start. That was what Becca hoped the move from New York to Redemption, Wisconsin, would be for her troubled family—a way to get her crumbling marriage back on track, and to bond with her difficult 16-year-old stepdaughter. But instead of a new beginning, Becca is thrust into a mysterious past she barely remembers … a past that includes complications from interacting with her teenage crush, Daniel, as well as living in her aunt’s old house (aka “The Witch House,” according to locals). But is the house really haunted? Or is there something far more sinister out to destroy them? I closed my mouth and turned to look. A police officer was standing at the counter watching Mia fill up a to-go container with coffee. Could that be Daniel? I searched the room, but only saw only a handful of people finishing up their breakfast. It had to be him. I looked back at the cop. Broad shoulders and dark blonde hair—Daniel. Mia glanced at me and winked. I made a face back at her. He turned. He was older of course, but yes, it was most definitely Daniel. He wouldn’t be considered traditionally handsome—not like Stefan with his almost pretty-boy looks. Daniel’s face was too rugged, with sharp cheekbones and a crooked nose. But his lips were still full and soft, and his eyes were still the same dark blue. I found myself suddenly conscious of my appearance. I hadn’t taken a shower in two days, and I was wearing an old, faded New York Giants tee shirt. I had scraped my unruly mass of reddish, blondish, brownish hair back into a messy ponytail in preparation for a full day of cleaning and organizing. But I quickly reminded myself that I was being silly. I was a married woman, sitting with my stepdaughter, and he was engaged. Besides, he had made it more than clear years ago he wasn’t the slightest bit interested in me. “Becca,” he said coming over, his face friendly, but not exactly smiling. “Welcome back to Redemption.” It didn’t sound much like a welcome. “Well, yes. Eventually. That’s the plan. But, at least for the foreseeable future, we’ll be living in it.” I sounded like an idiot. With some effort, I forced myself to stop talking. Why on earth did I share so much detail? How was this any of his business? He looked like he was going to say something more but was interrupted by a loud snort. The two pant-suited women both scraped their chairs back as they stood up, glaring disgustedly at all of us before heading to the cash register. “What’s with them?” Chrissy asked. I had forgotten she was there. I shrugged, before remembering my manners and introducing Chrissy to Daniel. I made a point of gesturing with my left hand to flash my wedding ring. “Occupational hazard. I’ll see you later.” He dipped his chin in a slight nod before walking away. I noticed he didn’t give me the slightest hint as to what he wanted to talk to me about. That sense of unease started to grow into a sense of foreboding. Enter to win a $10 Amazon Gift Card + a signed copy of IT BEGAN WITH A LIE and (9) will win an IT BEGAN WITH A LIE eBook! Michele Pariza Wacek (also known as Michele PW) taught herself to read at three years old because she so badly wanted to write fiction. As an adult, she became a professional copywriter (copywriters write promotional materials for businesses, nothing to do with protecting intellectual property or putting a copyright on something) and eventually founded a copywriting and marketing company. She grew up in Madison, Wisconsin and currently lives with her husband and dogs in the mountains of Arizona. You can reach her at MicheleParizaWacek.com. She’s published two novels, “The Stolen Twin” and “Mirror Image,” both psychological thrillers/mystery/suspense books. Zera is a Heartless – the immortal, unageing soldier of a witch. Bound to the witch Nightsinger ever since she saved her from the bandits who murdered her family, Zera longs for freedom from the woods they hide in. With her heart in a jar under Nightsinger’s control, she serves the witch unquestioningly. Until Nightsinger asks Zera for a Prince’s heart in exchange for her own, with one addendum; if she’s discovered infiltrating the court, Nightsinger will destroy her heart rather than see her tortured by the witch-hating nobles. Crown Prince Lucien d’Malvane hates the royal court as much as it loves him – every tutor too afraid to correct him and every girl jockeying for a place at his darkly handsome side. No one can challenge him – until the arrival of Lady Zera. She’s inelegant, smart-mouthed, carefree, and out for his blood. The Prince’s honor has him quickly aiming for her throat. Winner takes the loser’s heart. Thank you Entangled Teen for sending me a copy of Bring Me Their Hearts! This book was phenomenal. A one-of-a-kind story that will captivate you and leave you wondering: “where has this book been all my life?” I’m pretty sure after reading Bring Me Their Hearts, I became a Heartless. Or, at least, I’ll be one until I get the next two books. My life currently feels incomplete without them. Sara’s book will be one I will never forget. The story is wholly original and unlike anything I’ve read in YA. Bring Me Their Hearts will take hold of your heart (not literally, but figuratively) and won’t let it go. I was (and I still am) so enthralled with this book. Zera is one of the best fictional characters I have ever read. She’s sassy, witty, brave, stubborn, unique, and so much more. She knows what she wants, even when it means doing something that could hurt the people closest to her. She’s the type of girl I looked up to when I was little, and still kind of do. Zera’s main goal is to get her heart back, no matter the cost. She thought it was going to be easy, stealing the Prince’s heart. But no heart is every easy to steal. I really liked the world building, especially when it came to learning about the witches and Heartless and where magic comes from. The history about the Royal Court and the Heartless is wonderfully juicy. The interactions between Zera and her peers, especially Lucas, are mesmerizing and sometimes hilarious. I don’t think I’ve laughed so much while reading a book than I did during Sara’s. Bring Me Their Hearts is everything I thought it would be and more. Breathtaking. Addictive. Charming. Captivating. Enchanting. There’s not enough words to describe this book. And that twist toward the end…OH.MY.GOSH. I was on the train when I read the last few chapters and I had the hardest time being quiet and not being an emotional wreck. I wish there was more I could say, but this book left me speechless (and it appears just writing about the book is doing the same thing). You are most definitely not going to want to miss out on this beauty, trust me. Bring Me Their Hearts comes out TOMORROW, so make sure to pick up your copy! And check out Sara Wolf’s tour schedule below! So after reading awhile in this room my book friends Melissa and Julie came and ate at the cafe downstairs and met phoebe there as well. By time finished we were all ready for the signing. Which thing we had were a queen see which queen you were a poster of the world & some snacks. Then came signing which is always fun to learn the world. Ect. So that able take some photo’s with props after the signing sooo yea was fun. Oh did I say I did get murdered can see below. Thank you to Audrey Grey and Krystal Wade for letting us take part in this fantastic book tour! And thank you for the e-galley of Our Dark Stars! Click here to view the Our Dark Stars tour schedule. While she sleeps, the whole universe changes. Princess Talia Starchaser has it all. Wealth. Status. Adoring citizens. But on the eve of her eighteenth birthday, she’s forced to publicly betray her best friend, a companion mock she’s had since birth, setting events into motion that lead to the destruction of the humans, and the princess floating through space, a remnant of a time when humans ruled over droids. One hundred years later, half-mock captain Will Perrault and his ragtag crew discover a device floating in space. When a very human Talia emerges from its depths, Will suspects she’s the key to buying his way back into the regiment he once commanded against the last remaining rebel humans—and the ruling mock queen’s good graces. Both Talia and Will would rather get space-tossed than trust one another, but with the queen’s forces chasing them across the galaxy and the fate of both worlds hanging in the balance, they’ll forge the unlikeliest of alliances to survive. Audrey Grey is an award winning and USA Today bestselling author of several books, including the Moonbeam Children’s Award bronze finalist, SHADOW FALL. She lives in the charming state of Oklahoma with her crew: one husband, two little people, four mischievous dogs, and one poor cat. You can usually find Audrey hiding out in her office from said crew, surrounded by books and sipping kombucha while dreaming up wondrous worlds for her characters to live in. Krystal Wade is the USA Today bestselling author of six Young Adult Fantasy and creeptastically imagined fairytale books. She can be found in the sluglines outside Washington D.C. every morning, Monday through Friday. With coffee in hand, iPod plugged in, and strangers who sometimes snore, smell, or have incredibly bad gas-sitting next to her, she zones out and thinks of fantastical worlds for you and me to read. How else can she cope with a fifty-mile commute? Good thing she has her husband and three kids to go home to. They keep her sane. Imagine waking up 100 years into the future, not knowing where you are and not knowing everything you know and love is gone. Imagine waking up to a world where mocks are the rulers and humans are slaves. It doesn’t sound too appealing, does it? But this is exactly what happens to Princess Talia. And, boy, do these two authors bring this book to life. This was a whirlwind of a novel! I finished this beauty in one sitting because I absolutely could not put it down. I haven’t read a sci-fi this good since I picked up Gemina by Amie Kaufman and Jay Kristoff. The world building was phenomenal. I could picture the world inside my head and I truly felt like I was there with the characters, battling alongside them. During the many battle scenes, my heart was racing because I felt a connection with all these characters, and I did not want anything bad to happen to them. The authors did an amazing job of bringing this world, this story, to life. What I also really liked is that I could not tell which author was writing each chapter. It was one voice, so the flow was perfect. The characters were relatable and as a reader, I felt the hardships Will went through and I felt the pain Talia felt. The book itself felt so real, and those are the best books, in my opinion. The books that get you to feel all sorts of emotions are the books you remember; they are the books that stay with you forever. This is one of those books. Overall, I highly enjoyed Our Dark Stars!If you love sci-fi, romance, intense battle scenes, snarky comments and witty attitudes, then Our Dark Stars by Audrey Grey and Krystal Wade is the book for you! I’m not much of a sci-fi fan when it comes to books. There’s always too much to remember and by the time it’s done, I have to reread some parts and then it’s really not worth it. This isn’t the case here. This was amazing from start to finish. I know some of you are going to burn me at the stake but it really reminded me of The Lunar Chronicles by Marissa Meyer and Humans, Bow Down by James Patterson. With that being said, I do think this holds its own and people will remember this for being the gem that it is. This is an amazing sci-fi adventure with twists, turns, and some deceiving members of the mock/human race. It captivated me and I craved more pages even after it was over. As I was reading this, my husband asked me what I was reading. He said something that stuck with me throughout the entirety of this book. Why is there always a Princess? and Why does it always involve Humans versus Robots? It played over and over in my mind and if it wasn’t for him then this would have been a higher rating for me. This is a book that will stick with me even after I finished it. The writing style was beautiful and I was absolutely mesmerized by the world building. This actually changed my view of YA sci-fi novels and I can’t wait to try more of them. Our Dark Stars is a book that you need in your life!! And this is coming from someone who would rather be swooned than shot at by murderous robots! Thank you for hanging out with us today! We hope that you enjoyed your visit. We now leave you with our review and hope you add this title to your tbr! Empress of a Thousand Skies left us with our heart in our throats and many unanswered questions. None of us were sure what to do with our lives after being crushed with an ending like that. Then this beauty shows up on my doorstep and the world rights itself and I get sick. But the universe didn’t stop me from tearing through this wild ride. This one started off with my heart racing as I remembered the ending of the first book. I needed to know what was going on and I needed to know now! I felt myself being torn with some of the parts in this book. It would pick up just a bit and drop down like a plane in turbulence. But as I neared halfway through the book, it got to where I lost sleep and couldn’t put it down. It was so worth it in the end. The ending of this book is worth the wait and it makes these books so much more enjoyable. It was exciting to see the growth of not only the characters in this book but Rhoda’s writing style. It was mesmerizing. I hated to see this one come to a close but I’m excited to see where Rhoda takes us next. Always remember….. Honor. Bravery. Loyalty.